How to Convert EML to MSG files? EML to MSG Converter Software one of most powerful and unique features covered software which allows to easily bulk convert eml to msg files and also convert eml file attachment and embedded data. With this software user's can also convert EML to Office365 as this features is inbuilt as freeware. 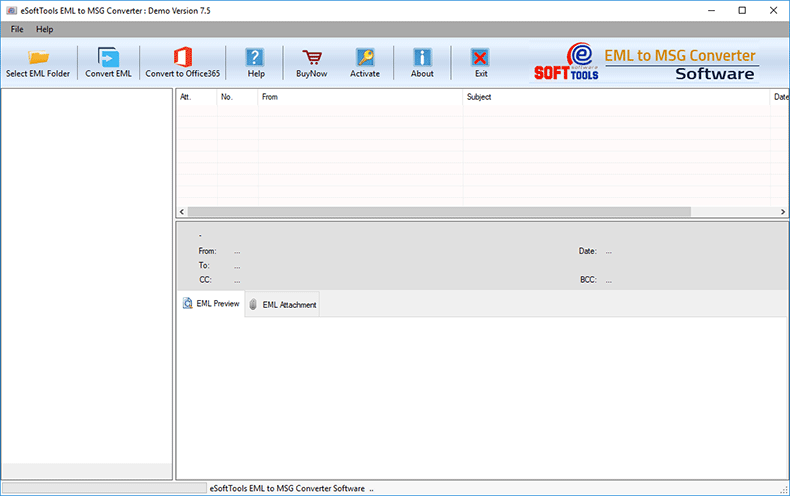 Look below complete software working steps of EML to MSG converter software. Click on "Select EML Folder" button from toolbar to add EML folders. Click "Browse" button and select file saving location and click on "CONVERT" button to start the EML to MSG file conversion.